Are financial markets – markets? In textbook markets, what is traded are products that are supposedly useful to customers. What is traded in many financial markets are highly artificial contractual arrangements that are several layers away from what happens in the real economy. In textbook markets, it is assumed that participants intend to hold property rights for a certain amount of time. In many financial markets, in contrast, traders (computers!) siphon off profits from small movements in prices, sometimes on a millisecond scale. Why does this matter? If we call the arenas* in which financial products are traded “markets”, our attention is directed to certain features and distracted from others. Our view of what a just regulation of these arenas would be is also likely to be influenced by it. A widespread view of the relation between justice and markets is roughly as follows: Markets need to have fair rules that create a level playing field, and there needs to be regulation that prevents market failures, for example negative externalities. Apart from that minimal, procedural account of justice, market should be left free, not only because this strengthens individual freedom, but also in order to be maximally efficient. This efficiency, it is assumed, helps create a large “pie” that can then be redistributed, typically through taxation. And, it is assumed, that there is a trade-off to be made: between “efficiency” on the one hand and “equity” on the other. But if financial “markets” lack many of the features that we typically associate with the term “market”, this model may not be appropriate. It may be futile to look for regulation that would “repair” financial “markets” so that they become more similar to markets for apples and oranges. We may not be “freer” as a society just because financial markets are less regulated. Financial markets are made possible by the legal framework that undergirds them. This framework includes property rights, freedom of contracts, and myriads of more detailed rules. Instead of asking “how much much regulation?”, we should ask: what are the net effects of property rights, freedom of contract, and other regulation. We should ask whose interests they serve – cui bono? And we should remember that the assumption that we often have in mind concerning the regulation of markets – that more regulation comes at the cost of less freedom and lower efficiency – might simply not hold. Instead, we should ask more fundamental questions about the point and purpose of financial markets from a perspective of justice. For example, what about the rules that define how one can run a bank – do they include a sufficient buffer to absorb losses that might otherwise have hugely negative effects on the whole society? As Admati and Hellwig, among others, have argued, the capital ratios of banks are still far too low. Another question concerns the design of contracts if these can have externalities on the economy as a whole. We might want to ask how financial products for specific goods, e.g. home mortgages, should be designed such that they do not exacerbate social inequality. ** Thanks to Tom Parr and Mark Reiff for comments on an academic text on these issues. That’s a very interesting discussion, and I think you have a good point. I don’t disagree with you. But there are lots of ‘markets’ that don’t really fit the description of market. In fact, none do – because markets are clearly an abstraction to a great degree. So we can start with the various ways in which people don’t have full information – on available options and even on their own products. And we can continue to discuss the ways in which there are no clear ‘products’ in a variety of markets. Even oranges are not a simple example – it’s not at all clear what are the boundaries of the relevant product, what are competitive products etc. Do you consider a genetically mutated orange the same product or a different one? For some consumers it a cheaper version of the same product, for others it’s a bait and switch. I bring it up because I think the idea of market needs to always be considered in the context of a potentially useful abstraction. Perhaps you agree, but I think that you don’t go far enough in your claims here. I think it’s a mistake to think that, generally, more regulation comes at the cost of freedom and efficiency. There are no markets without regulation – we need a great deal of regulation to create approximations of markets, and so the idea of a ‘free market’ is an oxymoron in my book. Markets are good in a variety of ways but sadly they are non-existent in the real world. We need to work hard in order to figure out the contexts where markets make sense (because they really don’t make sense in a variety of contexts, not just finances) and then think hard about what would be a regulatory framework that can simulate something close to a market in this context. That’s already happening in a variety of policy contexts, but when you talk to a certain kind of political philosophers – there is still this illusion that markets are a naturally free phenomenon, not to be interfered with by tedious bureaucrats (not to mention public discourse in the US). Hi Tomer, I agree with your general line. Nonetheless, I think that there are markets where it makes sense to treat them more or less as the markets we see in textbook models and to regulate in that direction. Maybe these are far fewer than what economists think, but that does not mean that they do not exist. 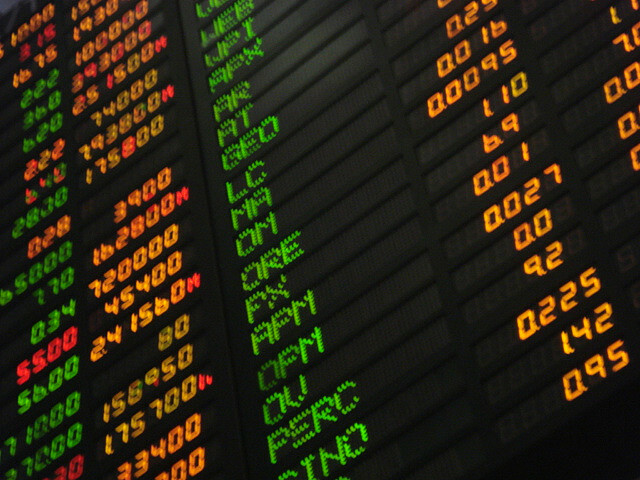 What’s interesting about financial markets is that they had long been treated as THE prototype case of well-functioning markets, with lots of market participants (hence no one-sided market power), high turnover (hence high liquidity) and – that was already more controversial – efficient processing of information (no great problems about market participants not understanding the products). One can question all of these assumptions, of course. But my point is, if you like, that financial markets deviate from the textbook model of markets in other ways, which are quite different from those of markets we typically find problematic (e.g. in education or in health care). Hi Lisa, thanks a lot for this interesting post! I think that you are right in identifying financial “markets” as very peculiar ones, but I also agree with Tomer that there are numerous differences between markets. I believe that it would be good to pay more attention to those differences in general and be open for the possibility that different markets need different rules, and that justice might require different things in different cases. 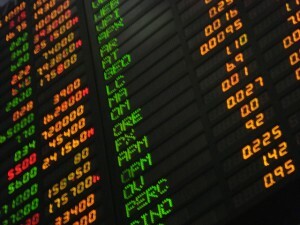 The fact that, as you mention in your reply to Tomer, financial markets have been regarded as THE prototype case of a well-functioning market can, I think, be taken as a starting point for questioning some wide-spread beliefs about markets such as the belief that regulation should be as minimal as possible. It is certainly very telling that financial markets, for all their peculiarities, have been seen as prototypical.